Pope tweets shout-out for anti-abortion rally in D.C.
VATICAN CITY Pope Benedict XVI is giving a shout-out to an anti-abortion rally in Washington, tweeting that politicians should protect the unborn and "promote a culture of life." Benedict sent the message Friday as thousands of people gathered at the National Mall and in front of the U.S. Supreme Court to commemorate the 40th anniversary of the landmark court decision that created a constitutional, nationwide right to abortion. Catholic Church teaching holds that life begins at conception. Benedict has garnered some 2.5 million Twitter followers in the six weeks since he launched his account. 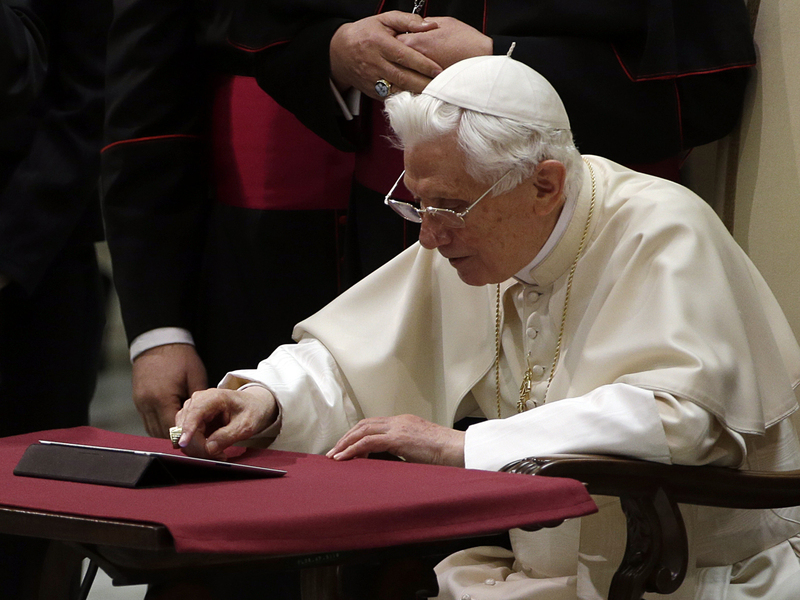 Vatican officials have acknowledged the pope does not actually type the Twitter messages and that someone in the Vatican's secretariat of state writes them on his behalf.